Your wedding day… It’s more than just a day… so much more! From the engagement to the bridal shower, to the long-anticipated rehearsal dinner, Edgemont Caterers – “The Venetian Room” makes every moment of your event unforgettable. 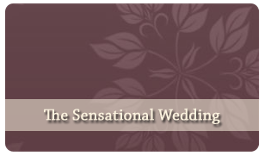 So whether you're one of our neighbors in Bridesburg or from a little further away, come and discover everything you desire for your most special day, all in one place; an elegant environment, award-winning cuisine, and meticulous, personalized service, all centered around catering to your every wish and dream for your special day. 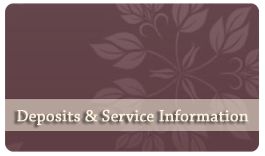 We specialize in creating the absolute perfect experience for you and your guests. A beautiful, warm ballroom is filled with elegant ribbons and golden chandeliers. Victorian decor envelopes the walls in tones of silver and gold, while luxurious, hand-woven tapestries grace the borders of the room. Timeless edging flows around it all, showcasing the outstanding elegance of Edgemont Caterers - The Venetian Room. Great care has been taken when selecting each element of our decor and furnishings, all of which will provide the backdrop for your special event. Six lavish chandeliers light a gentle pathway to our extravagant dance floor. Enjoy a drink at the classic cherry wood bar or get lost inside the smoky floor-to-ceiling mirrors. Your tables are adorned with elegant tablecloths and are accented with your choice of color coordinated linen napkins. Beautiful centerpieces ornament the middle of each surface while classic china and shining tableware await your guests. At dinner, your bridal party will be tended to while the rest of your guests are presented with a buffet-style meal of gourmet selections. You are invited to make your selections from our banquet menu which offers a generous variety of meal options designed to please any palate or preference. After dinner, your guests will be treated to a lavish "sweet table" complete with an array of carefully crafted delicacies. A festively-decorated, multi-tiered wedding cake is also waiting for you! After our Maitre d' accompanies the bride and groom to cut the cake, our professional staff will present slices to your guests. Our one goal is to simplify your wedding day and assist in making every detail as flawless as possible so that you can focus on sharing this celebration with your family and friends.